Looking for a homogenizer for your homogenizing application? PRO Homogenizers are considered Rotor Stator Homogenizers. These mechanical rotor-stator homogenizers are considered to be high shear homogenizers. PRO Homogenizers are used in a variety of fields for research, development, and testing including Life Sciences, Food, Pharmaceutical, Cosmetic, Industrial, Environmental, and many more. PRO rotor-stator homogenizer generator probes are precision designed to process various types of samples fast and efficiently through high-speed shearing to disperse, homogenize, lyse, emulsify, mix or blend. The variable speed of our homogenizers allows for the utmost control of your homogenization to ensure precise results. 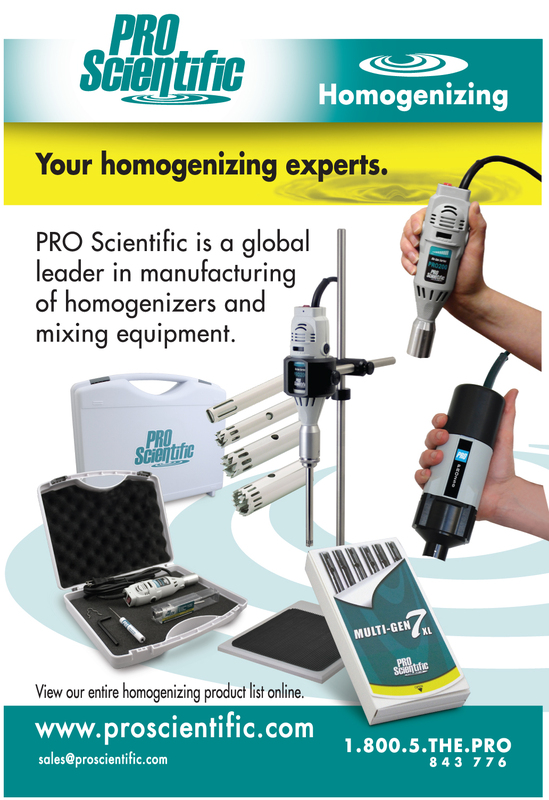 To help take the guesswork out of choosing a high shear lab homogenizer, we have created a variety of PRO Homogenizing Package Kits. These kits include everything you need to begin homogenizing PRO Rotor-Stator Homogenizers are available in Package Kits, Hand-Held or Stand Mounted, Digital Benchtop, and etc. If you are unable to determine the proper rotor stator homogenizer for your application, please feel free to contact us directly for assistance.